“Within one value chain - the pharmaceutical supply chain for drug products - many use cases exist across the board where there’s an opportunity to leverage blockchain technology. Why? Because in this value chain there are many points where processes break down due to a lack of transparency and coordination,” noted Iliana Oris Valiente, cofounder of Deloitte’s Rubix blockchain team, during her keynote presentation at the Distributed: Trade conference, which took place on June 14 in St. Louis, Missouri. Oris Valiente characterized the Toronto, Canada-based Rubix group as a technology-focused team that develops the code to power next generation Decentralized Applications, while noting that Deloitte itself has the largest supply chain advisory practice worldwide. Oris Valiente used her presentation to map out some of those use cases and to explain how blockchain technology, and especially its ability to record provenance, might be applied. Provenance – tracking of assets across a supply chain – has emerged as an early application area for blockchain and solutions in the area have been proposed by a number of startups, including CargoChain, Chronicled, Everledger, Project Provenance and Skuchain. Drug Safety – How drugs are manufactured. Drug Channels – How drugs move from manufacturer to end consumer. Public Safety – Addressing end-consumer issues with drugs. The traceability of active pharmaceutical ingredients during the manufacturing process is difficult. Detecting drugs that, by error, do not contain the intended active ingredients they are meant to can lead to patient harm. Filtering out counterfeit drugs is worthwhile because they are responsible for $200 billion in losses each year. Blockchain’s immutability and provenance capability provides the basis for traceability of drugs from manufacture to end consumer, identifying where the supply chain breaks down. Pharmaceutical companies and pharmacy retailers are often involved in marketing alliances, involving rebates, co-paid ads, coupons and other costs to boost exposure for a product. Getting a clear picture of which drugs sell best is tricky. The product returns process is broken, leading to multiple rebates for the same batch of product and an unclear view of how many drugs are in the market. This makes it more difficult to discover counterfeit drugs. Third party companies are paid to provide research on the movement of pharmaceuticals which is expense that could be cut completely with a blockchain-based tracking system linking all parties in the chain. Recall management, where one million people are killed each year worldwide from counterfeit drugs. Better tracking through the supply chain has significant effect at the human level. Prescription drug abuse, which is often made possible by disconnected healthcare records across hospitals, walk-in clinics, doctors and pharmacies. 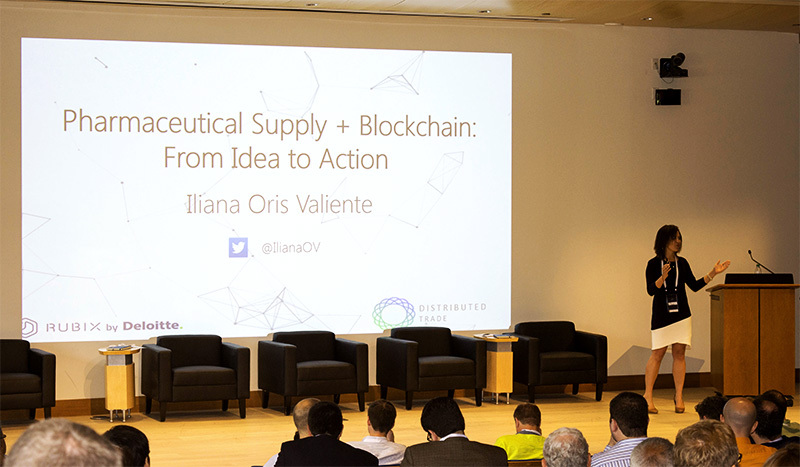 Turning to the practical paths forward to implement blockchain in the pharma supply chain, Oris Valiente suggested that across her use cases, there were a number of commonalities, including a number of entities involved in each supply chain and that each would have a different world view and set of motivations to innovate. For its part, Oris Valiente’s group – founded in 2015 and officially known as Rubix by Deloitte – is positioning itself to help build out the business applications that would underpin blockchain-based supply chains. Indeed, the group last week spun out a portion of its team involved in its own Ethereum-based blockchain infrastructure in order to allow this component to grow faster by tapping into external capital. 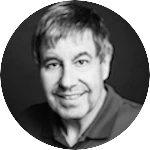 This also allows the core Rubix group to remain blockchain technology agnostic. The new company, dubbed Nuco, is headed by former Rubix group members Kesem Frank, Matthew Spoke and Jinius Tu. Deloitte is expected to retain a minority stake in Nuco.